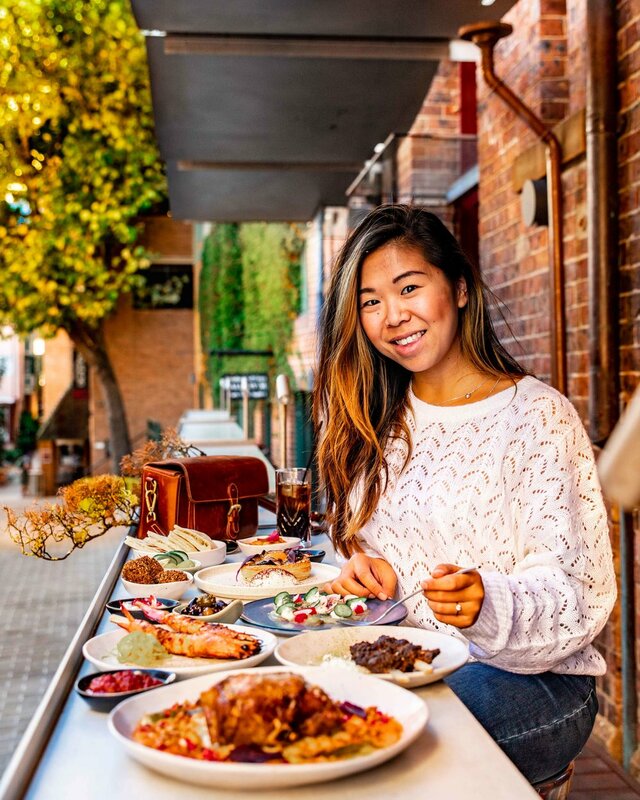 X23 Cafe is an Asian Fusion Cafe located in the hub of Chippendale near the Central Park Mall and the Kensington Street Food Hub. If you’ve never heard about them before, it is because they are tucked away, hidden amongst the vast and ever-expanding apartment building blocks that fill the area. Creamy, not too sweet, and filled with jelly! The Teh Tarik drink is delicious and full of strong tea flavour, off set by a balanced sweetness in the milk, sugar and jelly. Take 1 cup of dairy milk, a double shot of Mecca espresso, a glass of iced, and a frozen milo milk carton, and what do you get? ONE DELICIOUS AND BEAUTIFULLY CHAOTIC MESS! For those who aren’t aware, Rendang is a spicy meat dish originating in Indonesia, made with coconut milk, chilli, ginger, galangal, turmeric, lemongrass, garlic, shallot. It was traditionally served in ceremonial occasions to honour guests, and now enjoyed in Australian cafes to honour foodies! No wonder they consider this their Signature. Eggs and Chilli, those two made such a banging combo, one of the most underrated combinations of food ever. The sambal is spicy, but no where near as spicy as it is traditionally made, which means if you’re into the “not-so-Asian-kind of spicy” like me, your tastebuds will be unscathed. Just add a dash of fresh lime juice, trust us. Such a simple dish, and my favourite dish of them all. Spicy angel hair, a whole fried crab, delicious fried mini buns… Is there anything else you want in a dish? Again, it’s spicy, but it’s the kind of spicy even an “ABC/Chiwi”* can handle. A delicious sweet dish, that truly puts a unique Asian spin on the usual offerings. Will satisfy any Pandan lover.